Posted January 30th, 2017 by Rabbi Lebow & filed under Atlanta Weddings. February is almost upon us, which means that romance and love in the air with Valentine’s Day right around the corner. No matter your religion, couples around the country and across the world celebrate this holiday with gifts, special nights out, dinner and more. If you’re a member of the Jewish faith, however, there’s another holiday that is also designed for lovers: Tu B’Av. Tu B’Av is a romantic holiday of love on the Hebrew calendar, similar to Valentine’s Day. 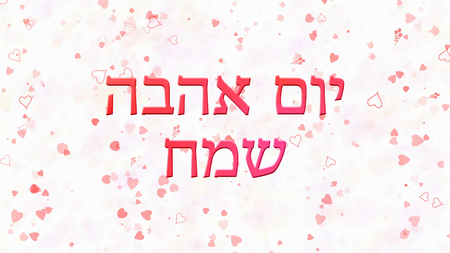 Originally, this day served as a day of matchmaking for single Jewish girls, as Chabad.org notes. On this day, Jewish daughters “would go and dance in the vineyards” and eligible bachelors would go there to hopefully find a wife, says Chabad.org, quoting from the Talmud. In the generations since, though, time this day has changed and shifted into a day of love for most Jewish people, celebrated in ways similar to Valentine’s Day, says Hebcal. While this means that the sharing of romantic feelings and thoughts, as well as gifts, is not uncommon, Tu B’Av is also a great date for weddings. Tu B’Av falls a week after Tisha B’Av, which is considered a day of sadness, which makes it often a great cause of celebration and happy reflection – perfect for a wedding day. Typically, Tisha B’Av is the date where the Jewish people were told they would wander for 40 years, lost in the desert, says My Jewish Learning. By contrast, Tu B’Av is the date that the remaining Jewish were told they would be allowed to enter the promised land, marking a day of celebration for the 15,000 or so survivors of the four decades in the desert. Those people celebrated and danced on Tu B’Av, helping signify the date of a time of celebration and joy, and today Tu B’Av is often marked with weddings, romantic gestures ceremonies and other celebratory occasions. While most people are gearing up for Valentine’s Day with stuffed teddy bears, chocolate hearts and other assorted gifts and trinkets for their significant others this festive season, the Jewish people will have a second chance later this year on Tu B’Av, this year observed at sundown Aug. 6. 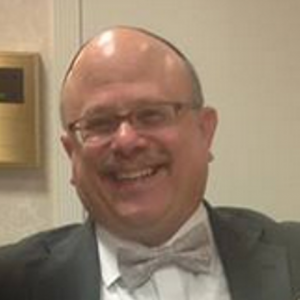 Whether you’re thinking of planning your nuptials for Tu B’Av or another date, Rabbi Steven Lebow of Atlanta Jewish & Interfaith Weddings can officiate at your wedding celebration. He can work with you to plan a traditional Jewish ceremony or work to create an interfaith occasion that balances the beliefs of both your faiths into a wedding that’s as unique and distinctive as your love for one another. Learn more and discuss your plans with Rabbi Lebow today by calling 404-790-8612.